Women in the Bible have so many things to teach us. In recent weeks, I’ve been doing a deep dive into women’s roles in the Bible. This isn’t the first time that I’ve studied women in the Bible. I’ve taught on various women, and there is a whole series on this blog about 25 women in the Bible. You can check that out HERE. The truth is, women are currently living in a time where they have more freedom, autonomy, and power than probably at any time in history. I remember being flabbergasted when my grandmother told me she couldn’t get a credit card in her own name. It had to be in her husband’s – and that was in the 60s which really isn’t that long ago. This week I just happened to be focusing on women in the Gospels. Of course, that is never really a coincidence. God always has this very cool way of leading me to Scriptures at just the right time. I love that! And even though I’ve heard the story of Jesus’ crucifixion and resurrection many times —after all, I started attending church when I was about a month old, went to a Christian school AND a Christian college—with my lens fixed on women, I saw these events in a whole new way. That’s another thing I LOVE about the Bible and why I believe it’s called the LIVING Word. No matter how many times I read a story or familiar passage, the Holy Spirit shows me something new almost every time. The thing is, Jesus was a revolutionary. Now, we might not see that as much now. We’ve heard the story about Him, and familiarity softens the edges of just how much Jesus turned everything the Jewish people knew (or thought they knew) on its head. One of the big areas that Jesus did this was in HIs interactions with women. As a rabbi and teacher, nobody expected Jesus to even take notice of women, never mind talk to them or allow them to be His disciples. The fact that Mary was not only allowed but commended for sitting at Jesus’ feet (a typical posture of a disciple, btw) would have been mindblowing to those around Him. It was why Martha was so shocked when Jesus didn’t take her side. You see, rabbis believed that women couldn’t study and understand the Scriptures. In fact, they were told they couldn’t learn the Scriptures – listen yes, but not actually learn. He had the 12, but He also had a larger group of people who followed Him as disciples. And women were included in that number. It’s no wonder the Jewish leaders of the time were perplexed. This man who claimed to be the Messiah was NOT acting the way He was supposed to. He actually TALKED to a Samaritan woman who would have been considered unclean from the moment of her birth, nevermind her 5 ex-husbands plus the guy she was living with. But women had a special place in the ministry of Jesus. In all of His interactions, He not only showed incredible compassion and love, but He raised them up. This stood in stark contrast to the society around them which definitely did not! That day, when Jesus was led to Golgotha – His body bruised and battered and broken – it was the women who were there. The only disciple present was John. All the rest had fled, afraid of being identified with a man marked for death. It was the women who kept watch as He suffered and died. And it was the women that He talked to first after His resurrection. It’s interesting to note that the women who went to His grave that first Easter morning were going to do a very basic task. They were going to bind spices in the linen in which His body was wrapped. It was considered women’s work. But it was in the midst of going to do this mundane task that Mary Magdalene, Joanna, and Mary the mother of James had an encounter with the risen Savior. I love that Jesus chose to first appear to women while they were engaged in doing “women’s work” which would have been considered lowly and unimportant. I love that Jesus chose to first appear to women even though, at that time, in a court of law they would not have even been considered qualified witnesses. I certainly do not mean for this post to in any way denigrate men. I do have two sons, after all, and my husband is one of the good guys. But, in a society where one rabbi’s opinion (Rabbi Eliezer ben Hyrcanus) about women and spirituality was, “The words of the Torah should be burned rather than entrusted to a woman,” Jesus was different. The religious elite at the time were expecting a Messiah that was wholly different than the One that actually came. And so they missed Him. But those whom society dismissed as lowly or unimportant or insignificant—they were the ones that truly saw Jesus as who He really was—the Savior who came to seek and save those who are lost. As a woman, it touches a deep place in my heart that Jesus chose women as the first witnesses to His resurrection. When God invites you to be His daughter with all the privileges that entails, it isn’t an empty promise. Jesus’s life and death and resurrection prove that. If you are interested in taking Him up on that promise, visit HERE. Every time I get the mail, I feel a small fizz of excitement. There always seems to be such possibility in that small metal box. Oh, I know in my head that all I will find will probably be bills or junk mail or, on a particularly good day, one of my favorite magazines or something I’ve ordered online. Once in a while, a card or letter will pop up that I wasn’t expecting. Today, I went to the mailbox and found, not one but two, surprises waiting for me. One was a small packet of pictures from my Aunt Kitty (well, she’s actually my mom’s cousin, but I’ve always called her aunt). I was tickled to see pictures of my grandparents and a host of other relatives when they were young. Almost all of them have passed on, so it was particularly sweet to see them again, smiling and young. (This was more poignant than usual as three people have died this past week). There was even this picture of my grandma, great-aunt and great -uncle at the pool in their bathing suits. I didn’t even know they ever owned bathing suits. The other package was from one of my best and oldest friends (years we’ve known each other, not her actual age). It held a magazine and a clipped article, along with a note explaining both. My friend’s notes are always the best – quirky and interesting with a dash of humor. The thing is, finding a fun surprise (or two) in my mailbox isn’t something that happens too often. The last one I remember came back in February. My chiropractor sent an article he had cut out and laminated of my son and husband reaching basketball milestones during the same game. I was so touched by his thoughtfulness. But before that, it had been a long time. Snail mail isn’t really something people do too much of these days. And I kind of think that is a shame. It’s interesting that today I plan on sitting down to look at the second quarter of the year – April, May and June – and kind of plan out what I want to get accomplished. I am not a naturally organized person. However, I’ve learned that as a natural fritterer (I can seriously waste hours and whole days very easily), I need a kind of map for my days and weeks and months. If I’m not sure what to do next, I tend to do nothing. This is one of those serendipitous moments that God is so good at orchestrating. One thing I wanted to do this year was to intentionally encourage others. While I’ve sent out a few cards, I really haven’t done that great of a job this first quarter of the year. Life has been a bit crazy (as in I’ve been out of town more in the past couple months than I have in the past couple years!!). 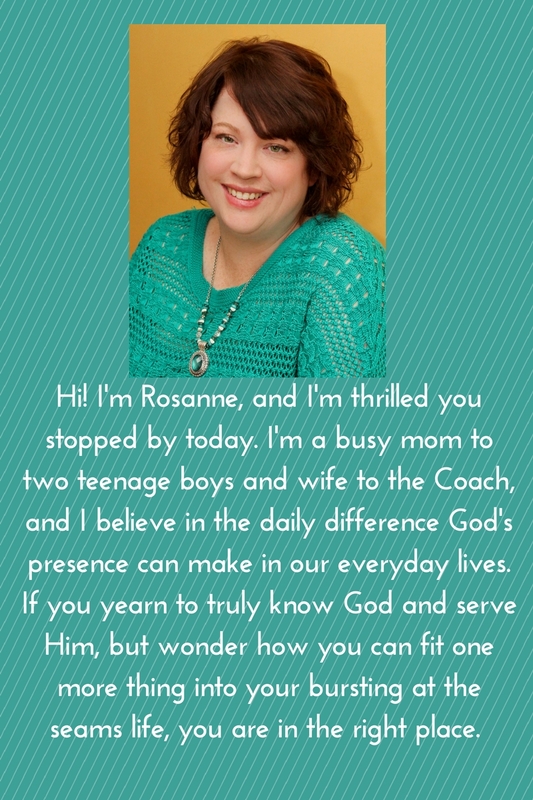 Today, God reminded me of that intention in a very tangible way – with my own encouragement in my mailbox. So, here goes Operation Mailbox Surprise! I’m still mulling over what this looks like because realistically, the next few months will be extremely busy. But, I still think I can figure out a way to make people smile when they open their mailboxes! Stay tuned (maybe I’ll record it on Instagram since I’m trying to learn that social media platform). Today I am joining up with Emily P. Freeman to reflect on what I’ve learned during this past season. Reflection is something that I’ve been learning to do the past few years. It’s easy to forget because we get busy, and the frenetic pace of life tends to push us forward without much time to look backward. But I am learning that slowing down and reflecting and remembering the time just past has a lot to teach me. So, without further ado, here is what I learned during this winter season. If you read this blog at all, you know that I broke my leg in January. To be honest, that still sounds ridiculous to me – that I actually broke my leg. But I did. The result was hopping around on crutches and needing a lot of help – which I found surprisingly difficult to ask for. I dipped into why that was in this post. Riding on the coattails of the previous thing I learned is the fact that I don’t actually have to do everything around my home. I guess I kind of fell into the pattern of doing everything for everyone because they were busy and I wanted to be helpful and doesn’t a good mom serve her family? Since I have zero serving gifts, that never comes naturally. And when something doesn’t come naturally to me, I tend to sometimes go overboard in the opposite direction. In January and February, I had to ask for a lot of help. As I went down to one crutch and then no crutches, I realized I didn’t actually have to take back ALL those responsibilities. My family could pitch in too since they, you know, live here too. My youngest son is a senior this year, and he wants to major in film and art. Because of that interest, we have all decided – him included – that he needs to go to a Christian college for a variety of reasons. The thing is Christian colleges are expensive, and I had no idea HOW we were going to afford this. I started praying last year that God would provide. During the intervening time, I’ve thought I knew how God was going to do that. I would see what seemed like a very obvious way, and then when it didn’t work out, feel deeply disappointed. LIke God had somehow not lived up to expectation. The thing is, while I know God will provide, His answers never are what I’m expecting. You’d think I would have learned to just enjoy the ride by now. My husband is a basketball coach. My kids have both played sports since they were very young. My youngest son played his last basketball game in the gym at their school (the gym I cheered in as a high schooler) in February. It was a surprisingly difficult moment for me. That gym had seen some of our most exciting moments and some of our most difficult as a family. I will miss watching my boys play there, and I was surprised by that. This winter I started an online Bible study with some women from my church. We all had one friend in common and knew each other, but didn’t really KNOW each other. That has been such a huge blessing in my life. For years, I’ve taught a Sunday school class, and while I loved the women in it and loved to teach, it’s different to be the teacher rather than just part of the group. It had been a long time since I’d just been a part of the group. I realized how much I had missed that. Not to mention, I feel I’ve deepened some friendships and found some true fellowship. So how about you? What has this winter taught you? I’d love to hear about it! I meant to do this earlier, but I’ve been busy writing book 2 in my middle-grade fantasy trilogy, The Pirate Princess Chronicles. But before January gets away from me, I wanted to share my favorite books from 2018. I read 93 books in 2018 and these were my favorites. My main thought after finishing this book was, “Where has Dallas Willard been all my life?” Seriously, this book was transforming for me. He articulated things I’d been feeling about the Church (in a general sense) in America and Western Christianity for a long time. What I love about this book is that it doesn’t just point out the problem; it gives some practical answers. He also has a series of short chapters at the end about spiritual books that made a big difference in his own life and how. I now have a list of books to read this year. I will say, this is dense reading. It took me a YEAR to read this book, and I tend to be a very fast reader. Each chapter is quite long and I took notes, but it was totally worth it! This was another book that I found completely transforming. This book on prayer discusses what it means to mature in our prayer life and the importance authority has in the Kingdom of God. While there were times I felt Eldredge was making things a bit more complicated than they needed to be, I also found his words convicting. He talked a lot about the authority we have as children of God – not orphans or slaves, but children and the rights inherent in that. He also talks a lot about the importance of being in alignment with God and how when we aren’t, it hinders our prayers’ effectiveness. Eldredge also uses a lot of references from books like The Hobbit and Lord of the Rings which I always appreciate. 🙂 And he reminds us that we are at war. I think this is something a lot of Christians – especially in the Western world – forget. One of my favorite quotes from the book talks about how we are all called to the battle whether we want to or not, and how incredible that is. “It looks like a hobbit with a handkerchief going to slay a dragon.” If you are looking to deepen your prayer life, this a great book to add to your shelf. I read it twice! This was a very timely book for me. With a 20-year-old son living at home and working and another son who is a senior this year, I was definitely the target audience for this book. Yoder, who has four children of her own, talks about the unique challenges of parenting teens and young adults. There are A LOT of books about parenting younger children, but not so many about this strange transitional stage. It can be hard to know the line of support/guidance and hovering. Yoder also talks about the bittersweet feelings that come along with this stage, including nostalgia, regret, loneliness, and the loss that can come with role changes. She also touches on parenting kids in multiple stages of life. With four children, she had a child in college all the way down to elementary school. If you have children in the tween or older stage, check this book out! This book deeply affected me. It is a memoir of a woman who grew up in a fundamentalist sect called The Assembly. Growing up, she suffered deep anxiety from being taught she would be martyred at a young age. She also endured daily punishing spankings for minor infractions and things no child should be punished for like not using the restroom fast enough. The Assembly, founded by her grandfather, exerted control over her and everyone involved in every area of their lives. These things had a devastating effect on her life. Her story was a heartbreaking one of spiritual abuse. She and her husband did break free, and her parents did seek her forgiveness, somewhat restoring the relationship. This was a riveting book and I highly recommend it as it addresses some key issues like accountability in leadership and how we can leave the leave the harm inflicted in the name of God without losing God Himself. This is an author I really enjoy. She wrote Water for Elephants and The Ape House, both of which I also enjoyed. In On Water’s Edge, I was sucked into Maddie’s story and stayed up way too late reading this. The story starts with a trio – Maddie, her husband Ellis and his friend Hank. The trio seems carefree and exuberant, reminding me of the roaring 20s, a Zelda and F. Scott Fitzgerald type of couple. But Ellis is not what he seems, and Maddie’s difficult upbringing with a distant, unloving father and a mentally ill, narcissistic mother is slowly revealed. When Ellis drags her to the Scottish Highlands to find the Lochness Monster, Maddie gradually realizes the real monster is her husband. Set in World War 2, this is both a moving love story and a coming of age story. Hands down, this was one of my favorite fiction books of 2018. Set in World War 2 (see a common thread here? ), it is the story of Emmaline “Emmy” Lake and her best friend Bunty, who are doing their bit for the war effort and trying to stay cheerful despite the planes making their nightly raids. Emmy dreams of becoming a war correspondent and when she spots an ad in the newspaper thinks this will be her chance. Unfortunately, there is a misunderstanding and she ends up typing letters for the formidable Henrietta Bird. Bird is very clear – any letters containing any Unpleasantness are to be thrown away. Unfortunately, her definition of Unpleasantness includes just about everything but housekeeping questions and cooking. Emmy, reading the heartrending letters from girls and women in difficult predicaments because of the war, can’t bring herself to throw those letters away so, she starts to secretly write them back. You will love Emmaline Lake and her cheerful, plucky persistence in the face of sometimes overwhelming challenges. There are currently five books with more to come in the series. Irene Winters is a professional spy for the mysterious and shadowy Library which “collects” literary works from alternate realities to help keep the balance between chaos (represented by the Fae) and order (represented by the dragons) in all the alternative worlds. Each book has its own mystery/problem to solve, but there is also the overarching story of the Library and Irene’s own story. This is compulsive reading at its best! As a steampunk fan, I had a hard time putting down. This series features Mina Holmes, Sherlock Holmes’ equally intelligent niece, and Evelyn Stoker, Bram Stoker’s vampire hunting sister. Each book has its own mystery to solve and plenty of adventure and hair raising adventures, but there is an arch villainess behind them all. There are currently four books in the series and I am eagerly awaiting number five! This is the second book the Avery and Angela series. In the first book, The Last Good Day, we are introduced to Avery and Angela, two recently graduated teenagers who have been best friends throughout high school. They are spending one last good day before Avery heads off to a music conservatory. At the end of that book, the two have gotten together as a couple, and Angela has revealed that the cancer she beat in her childhood has come back. The Road to Here picks up several months later. Avery has spent his first semester at college while Angela has endured chemo treatments. They reconnect at Christmas break. This is not my usual genre, but I really love the story of Avery and Angela. Maybe it is because I have sons this age myself, but I loved the way Avery grew as a person – learning to really listen and nurture Angela. I also loved the cast of characters that came alongside the couple. The book ends in a twist I did not see coming, and I am waiting impatiently for book 3. Yes, I know it might seem strange to include a book I wrote, but I spent an entire year with this story, and I still like it. When Andromeda “Rommy” Cavendish’s father doesn’t show up for one of his twice yearly visits, Rommy becomes worried and sneaks out of her exclusive boarding school to find him. Dressed as a boy, she travels through 19th century London only to find more questions than answers. To find her father, she’ll have to travel to the magical island of Neverland where heroes are villains and her father might just be the biggest villain of them all. (On a sidenote, I just finished the first draft of book 2). If one of your goals this year is to read more, I hope this gives you a great place to start. Why Is Asking for Help so Hard? This has been an interesting week, full of new experiences. It all started when we got the news that one of my mom’s very best friends (the pastor’s wife where we went to church while I was growing up) had passed away. So she and I headed up to Michigan on Monday so we could attend the funeral the next morning. Even though we were there for a sad occasion, we took the opportunity to get together with some family and friends while we were in the area. Is it just me, or does it seem like the only time you see people, as you get older, is at funerals? Anyway, we met with some friends at a restaurant which is where things went wrong. Right before we were going to leave, I decided to hit the restroom. I didn’t realize how literal that was going to be. On my way, I slipped on some mopped floor (no floor sign!) and ended up breaking my leg. Yes, you read that correctly – I broke my leg! I will be 46 next month, and this is my first broken bone. I have to say, I could have skipped this experience and been completely happy about that. While it certainly could have been much worse, it hasn’t been all that much fun either. Fortunately, the break was not a complicated one. I broke my fibula up by my knee. Because it was a non-displaced break (that just means the bone never got out of alignment), my recovery is pretty straight forward – stay mostly off of it as it heals for the next 6 to 8 weeks. I don’t even have a cast or boot or anything. But while I am super thankful that I apparently have the best case scenario when breaking your leg, that doesn’t change that it is very inconvenient and hopping around on crutches or propping my leg up while lying on the couch means I can’t do the things I normally do. Things like laundry and cleaning and cooking and grocery shopping. Things that are kind of necessary for our household to run smoothly. And, even though I am not what you’d ever call domestic, I’m finding not being able to do those things much harder than I thought. The thing is, it’s kind of hard to need so much help. Sure, if it was anyone else, I’d tell them that of course, they needed to ask for help, and of course, they shouldn’t feel bad for needing that help. When it’s you, it’s another story, isn’t it? When my 81-year-old mother had the orderly wheel me into the emergency room, I felt uncomfortably conspicuous, like I was making a spectacle of myself. When I have to tell people I broke my leg, I feel kind of ridiculous. I find myself making jokes and explaining how it could have been so much worse (and it really could have been – see? I can’t help myself!). I find myself downplaying the fact that I broke a bone – like it’s no big deal when it kind of is. I find I don’t like being weak and somewhat helpless. I also noticed something else. On about the third day, I realized that every single time I asked someone for something, I apologized. it made me wonder, why WAS I apologizing anyway? It wasn’t like it was even my fault I had fallen. It wasn’t like I was doing something risky. I was walking to the bathroom, for goodness’ sake! I wasn’t demanding or asking for anything unreasonable of those around me, either. And yet, I continued to apologize and I continued to feel like a bother – even though nobody was responding that way at all. My friend and I chatted about this and she said in her own case (she has some serious chronic health issues that necessitate asking for help, too), God showed her it was pride. I’m sure there is some of that in my own life too. I mean, don’t we all want to be self-sufficient? Don’t we all hesitate to admit we need help? I know I do. And yet, when I really examined my need to apologize, I realized a lot of it has roots in fear. Big surprise, right? My word this year is EQUIPPED – oh the irony. God really does have a great sense of humor. It’s a brand new year, and I don’t feel equipped to even do the basics around my house. But here’s the thing is, my fears were rooted in not being enough. Just not being enough, period. We live in a society that puts a lot of value on what we DO, not in who we ARE. This includes Christian circles too. Meet another believer and the conversation will soon circle around to what you DO as far as church and ministry go. Don’t get me wrong. I don’t mean we shouldn’t be serving the Lord. But service is an outflow of our relationship with and our identity in Christ, not the other way around. And I think we get that wrong. I certainly get it wrong, as evidenced by my overwhelming need to apologize for asking for help when I need it. It’s not about what you do. It’s about who you know. I’ve been reading The Great Omission for a while now, and one of the things that has stood out to me so much is that God’s purpose for us is to become more like His Son, Christ. He wants to transform us into the image of His Son so that our thoughts, our words and yes, our actions look like Jesus. It’s out of the outflow of that transformation that naturally comes service and good works. This is definitely NOT the way I envisioned 2019 starting out, but I do believe God is fulfilling the word He gave me this year: EQUIPPING. He’s just doing it in ways I hadn’t imagined. I’ve been choosing a word for the year for a while now. It’s something I start thinking about around Thanksgiving, and I often “try on” a few different words before I know I’ve found the right one. And I always know I’ve hit upon the right word because I cry. Every time God whispers in my heart, everytime He makes clear He is speaking to me (not literally), I cry – even though I’m not much of a crier in everyday life (well, except for those Disney movies. Dumbo gets me every time!). This year, the end of December was here and I hadn’t even though about my word! Last year’s word was TRUST (you can read about that here). In 2017, my word was CONTEND, and in 2016, my word was ENOUGH. It’s always amazing to me how God uses this word throughout the year and how it is so meaningful. I mean, it’s just a word really and seemingly random. But yet, it’s not. Things are changing in a lot of ways. Anyway, 2019 promises to be a year of great change in my life. My youngest son is graduating from high school, and my oldest son might also be going away to college in the fall. My nest promises to look very different at this time next year. A new chapter, a new season is upon me, and I feel I am reaching a “bend in the road,” as Anne Shirley would say. Not only that, but last Sunday was my last day with the Sunday school class I’ve been teaching for about 9 years. Weirdly, I can never remember exactly when I started, but life was very different back then. I had an 11-year-old and an 8-year-old. We were smack in the middle of the growing years. Neither Kipper nor I had any grey hair. The way I see myself is also changing. And then there’s that book I published. (Hook’s Daughter). I’m not sure why but I’ve found publishing a book has changed how I view myself in ways I never imagined. I’ve always wanted to be a writer, but now I see myself AS a writer. Turns out, that mindset switch makes a big difference. I had a hard time coming up with the right word this year. There is excitement in starting a new season, but there is also a bittersweetness that comes at the end of one, too. I wanted a word that captured both of those things: looking forward and also letting go. I threw around quite a few words: adventure, leap, expectant, brave. I posted about it in the PowerSheets group (great bunch even if I didn’t buy the book this year), and someone suggested Embrace. And that was almost it, but it wasn’t quite right. (after all, it didn’t make me cry!). Then, this morning, I was listening to Priscilla Shirer during my quiet time. She started teaching on the passage in Luke 9 where Jesus calls, equips and then sends out His disciples. When they return they are triumphant but exhausted. And then they all run into the multitude whom Jesus feeds with the five loaves and two fishes. And suddenly I knew what my word for 2019 was: EQUIPPED. For a moment, I was cowed by that voice. For a moment, doubt crept in, but then truth pushed it out. I sat up straighter and squared my shoulders because I knew who I was. I had faith that I was equipped for all the changes (and the inevitable discomfort that follows a lot of changes) that 2019 will surely bring. I’m the daughter of the King of kings. He has equipped me for every good work that He prepared for me to do before the foundations of the world. What’s your word for 2019? I’d love to hear about it! Today is Friday which means it’s Five Minute Friday. 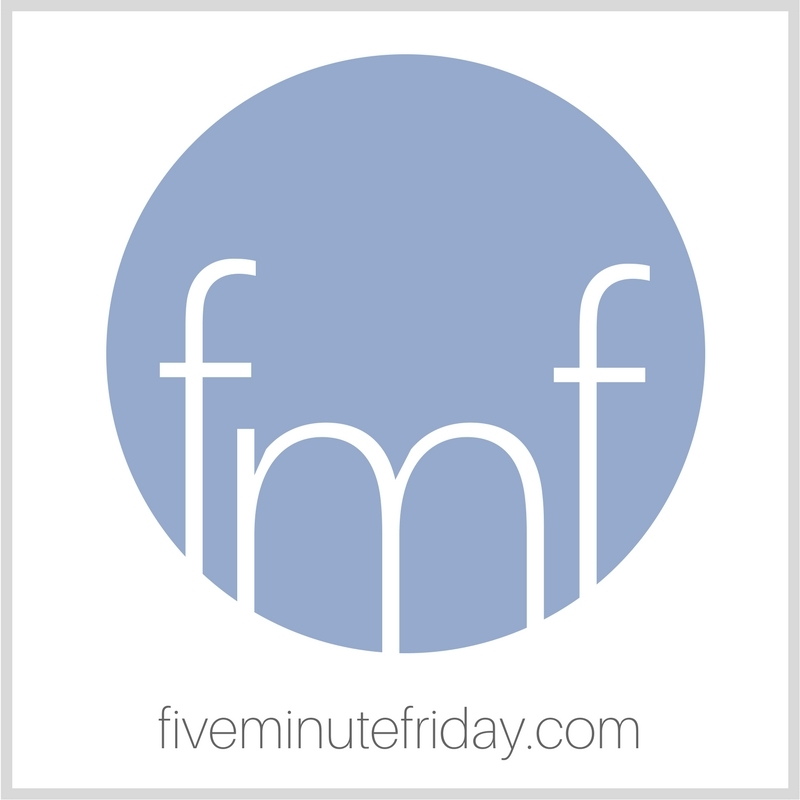 If you don’t know what Five Minute Friday, it’s where women from all over the world come together to write for five minutes on one word – no editing, no second-guessing. You can head on over HERE to check it out. Balance, as we think of it, is a myth. I know because I’ve chased after it all of my adult life – this idea that if I just have things in balance, I can do all the things equally well. The truth is balance doesn’t mean that at all. You see, I thought of balance like those people who spin plates and keep them all going at once and they keep adding more plates until finally they can’t keep up with all the spinning and the plates start to crash one by one. My to-do list used to have – no joke – about 25 items on it for one day, and then I was confused and frustrated and annoyed with myself when I didn’t cross them all off. Crazy, right? But I did this for literally YEARS! Part of that is because I have no concept of time. I freely admit it. I am a creative and that whole ability to estimate how long something will take? That totally doesn’t work in my brain! So, I would be overly optimistic about how much I could get done. (It’s also why I tend to be late a lot because I think I can squeeze in one more thing!). True balance is about understanding the real parameters of your time available, your energy and the capacity of your plate. We can’t compare our plate to how much someone else has on theirs because each of us has a different size and shape based on a lot of things – health, responsibilities, seasons of life. Yours won’t look like mine. So, balance is as individual as we are. Once I learned that, I spent a whole lot less time picking up broken china! Have you ever noticed that anxiety can creep into your life and you almost don’t notice it? Until that is, something happens that makes you aware of just how tight a stranglehold it has on you. This summer, I got back to gardening this summer after a few years’ hiatus. I get ridiculously excited when I see little sprouts pushing through the earth. I find it miraculous every single time. I planted tomatoes, beans, onions, radishes, strawberries, and a few herbs to round things out. Some of the plants, like the tomatoes, I bought as seedlings, but others, like the beans, I planted as seeds. There is something very optimistic about a freshly planted garden. After I got done, I stood back and looked at my work and smiled. I do a raised square-foot garden, so instead of rows, my garden was done in neat squares. Every morning I came out to inspect my plants and see if anything had pushed through the soil. Soon, the beans started making themselves known, pushing various shades of green shoots through the black soil. And right on their heels, the Japanese beetles made their presence known. About a quarter of an inch long, a Japanese beetle is actually kind of pretty with its iridescent shell. What they do to a garden is NOT pretty, however. After frantically googling garden pests and talking to other gardeners in the areas, I found out everyone seemed to be having issues with the little things and I wasn’t alone. That didn’t really make me feel much better though when I looked at my bean plants whose leaves quickly started to resemble lace. It turns out Japanese beetles burrow down in the soil. They come flooding out during a specific period of time and are drawn to certain kinds of plants. What’s interesting is, despite the many, many, many beetles I saw, the only plants they really attacked were my bean plants. They had lain in wait in the soil until something new started to grow. And isn’t that the way anxiety can be? It burrows into the soil of your life and you don’t even know it’s there – until you start trying to grow something new. Suddenly, all that anxiety pushes its way to the surface, leaving our minds and hearts shredded, just like the leaves on my bean plants. For me, the thing that brought all that anxiety to the surface was writing my book. I know – that’s supposed to be something good, right? And it was, is. But it was also new territory. I’ve wanted to write a book since I was about 11 years old. While I’ve written a few shorter, chapter books (not published), I’d never attempted anything like a full-length novel. I’ve also self-published three kids’ quiz books and five devotional journals. While I knew those were different, I felt like I wasn’t a complete newbie to self-publishing either. Self-publishing a novel is a completely different beast than self-publishing something like a devotional journal. There was a learning curve on a lot of things, and the truth is, I’m still learning. It was a bit stressful, and that’s not a bad thing. There IS stress involved when we are learning something new and it’s important to us. The reality is publishing a book is kind of like going to a big city and not knowing anyone. Traditional publishing is like going to that big city but using all the public transportation systems. Yes, you have to learn how to utilize the subway, and yes, you have to figure out the bus schedule, but someone else is actually navigating the traffic and getting you to your destination. Self-publishing is like going to that big city and doing all the driving by yourself without a GPS. Depending on how you react to the above scenario, that trip to the city could be a fun adventure or a complete nightmare. Can I confess to you that I almost quit numerous times AFTER I WROTE THE BOOK? Yep, you read that right. While navigating the busy streets of self-publishing, there were many, many times I just wanted to quit, to throw in the towel. And I had a completed manuscript. Part of this was because of all the decisions I had to make. I kind of hate making decisions, and in self-publishing, that’s basically what you do – one decision after another. Some of them are really important too, so there is also the pressure of making the RIGHT decision. From picking an editor to deciding on a cover, there are a lot of things you have to decide that will have a big impact on the sales of your book. The great thing about self-publishing is that a lot of decisions that you make can be changed down the road. Find out your cover doesn’t quite work for your genre? That’s okay because you can swap it out for a new one. Discover you need a more compelling book description to get more sales? You can change it up as many times as you want to. The problem was, while I loved the idea of having control of all these aspects, all the weight of that control started to press down on me. I had so many options and possibilities that, instead of feeling empowered by them, I felt encumbered by them. I felt enormous pressure to not just make the decisions but to get them right on the first try. Ironically, my life verses are found in Philippians 4:6-8. The truth was anxiety was stealing all my joy in the process. Here I was getting ready to present my book to the world, to see a dream come true, and all I felt was an oppressive dread. I realized that anxiety had stolen the joy, not only in publishing my book but in a lot of other areas in my life, as well. I had allowed my world to become small because of anxiety. This was driven home to me when I went to a one-day writer’s conference in a small town near Cincinnati. I realized that instead of looking forward to the event, a vague sense of dread had settled into the pit of my stomach for no apparent reason. I also realized this was the first time I had been outside my little town in over a year. Anxiety had become my default for anything that was outside my normal routine. Anxiety, like its big sister fear, IS a liar. It steals from you and takes what should be something joy-filled and turns it into something that feels like the emotional equivalent of a lead balloon. It makes your world small and your focus narrow. The answer to this problem is found in the next verse in Philippians, verse 9. Satan likes to use our minds to keep us stuck where we are at. He doesn’t want us to grow new things. He wants to keep our lives barren of the fruit of living in the Spirit. He wants us to dwell on all the what-ifs and feel like every outcome is up to us, that we are in control. But we both know we’re not the ones in control, and isn’t that a blessed relief? I don’t know about you, but I’m done doing that. I’m done with allowing the enemy to steal my joy and derail me from having adventures. It’s time to remember that I don’t have to ever navigate anything alone. Jesus promised me that He will never leave me or forsake me. All I have to do is ask. Am I the only person who feels guilty when I tell someone no? I really hate disappointing people. So I say yes a lot. Even when I really shouldn’t. This was very evident this past month when I somehow ended up in charge of a homecoming party for the entire high school (we have a small Christian school so this isn’t quite as large as some of you might be imagining). I’m not even sure how it happened exactly. One minute I was asking a question about the venue, and the next, I was in charge. It was one of those things I should NOT have said yes to. Not only did I find myself hyperventilating in the weeks leading up to the event, but my son was having his own event. This summer he made a short movie, and the weekend before the homecoming party he had his movie premiere. I thought maybe 50 people would come, but 200 ended up showing up. It was a wonderful night, but it was overshadowed by my anxiety over the coming homecoming party. Not only did my son have a major event, but I was supposed to be launching my debut novel, Hook’s Daughter: The Untold Tale of a Pirate Princess. But of course, with two events on back to back weekends, that wasn’t happening. Was the party a bad thing? Not at all. Did the kids enjoy it? Yes, they did. Did I need to be in charge? Absolutely not! Not only did I have a lot on my plate— things that I have been called to do—but event planning is NOT something I enjoy or even particularly good at. And this party had numerous challenges, including losing all power for the entirety of the party. By taking on this party, I ended up putting my own priorities, goals and calling at the very bottom of the list – right where it wasn’t supposed to be. How did this happen? Too often, I let other people’s priorities become my priorities. While it can feel super spiritual to always say yes to people when they ask you for something, the problem is by saying yes to one thing, you are automatically saying no to something else – whether you mean to or not. Even Jesus – who came to bring salvation to people by dying for them – sometimes told people no. When people found out that He could heal the sick, there were times that the people pressed in so closely He could barely move. He would often leave to give Himself some space. There were times when the people begged Him to stay, but He said no and moved on. Why? Because Jesus wasn’t just about saying yes to people. He was about saying yes to the Father. I think this is where the boundary line comes in. If we say yes to every single thing people ask of us, we could ultimately be saying no to what God is asking of us – even if we don’t mean to be. Jesus had a very short time from the time He started His ministry to the time He died on the cross, yet He never seemed rushed or hurried. He put God the Father’s priorities over people’s priorities, even when some of the things people were asking seemed important or were legitimate needs. I know I often let false guilt sway me even when I know God has asked me to do certain things, and by saying yes, I am pushing those things onto the back burner. This problem is especially true for women, and I believe it all has to do with our definition of the word selfish. Unfortunately, for many of us (me included) selfish has come to mean telling anyone the word no. Just because someone else doesn’t think what you are doing is important doesn’t mean you can’t tell them no. As a creative, I need downtime and space to create. Before I ever sat down to write one word of my current novel, there was a lot of what looked like me doing nothing to an outsider. But it wasn’t really free time. Working out a plot or developing characters takes a lot of thinking and mulling over. I often felt bad for telling people no when it looked like I was just sitting around staring into space, but without that empty space, my imaginary people and places couldn’t come into existence. When you have a baby, the entire experience doesn’t happen in the labor and delivery room. You spend nine months where all the important stuff happens beneath the surface, invisible to the human eye. You would never tell a pregnant woman she needed to skip that nine months and get right into the labor room. But we do this all the time to creatives. I had to learn to be “selfish” about the time I needed to create because that is what God has called me to do. If I say yes to everybody else’s stuff, I can’t do what God has called me to do. Here are five questions I’ve learned to ask before saying yes. It goes without saying, you should always pray about whether you should say yes or no to requests for your time and energy, but these questions can help. Is this something only YOU can do? For example, you are your child’s only mother, your husband’s only wife, and your parent’s only child. Will saying yes improve those key relationships or fulfill one of your key roles like mom or wife? By saying yes, will you NOT be able to serve/care for the people only YOU can serve/care for? Is this something the person can do for themselves? Some people have learned to be helpless, or we have taught them to be. If you are a parent, it is all too easy to fall into the pattern of doing every little thing for your child. Sometimes, this is because we just have a natural bent to serve, and other times, it is because our expectations of our children haven’t grown with them. While we want to be caring and helpful, don’t enable helplessness, especially out of false guilt! Will saying yes create an unhealthy lack of margin in your life? We weren’t made to fill our lives to the very edges. It is very difficult to “live by the Spirit,” when every moment of every day is filled to the absolute limit. We create stress for ourselves and short circuit those unique God-encounters when we have packed our schedules so full that any tiny interruption becomes a catastrophe. Does this request fit with your gifts, your calling, or brings joy; or is it something that will drain you and feel like a burden? This is a somewhat tricky one because there are times when God asks us to do things that step out of our comfort zone and might cause us stress. However, this is probably not going to be the norm unless He is moving you in a new direction (another reason why prayer is so important before we say yes). When we say yes to too many things that drain us or stress us out because they are not things we are gifted in, this effects everything else in our lives too. Case in point, I felt like my life was on hold until this homecoming party was over. I’m glad the kids had fun, but there were other people whose gifts DO include organizing events that would have probably stepped up, if I hadn’t taken it on. When you say yes, what will you have to say no to? The hard truth is we all have the same number of hours in our days. We can’t buy more time. Saying yes to one thing means we will have less time for something else. Only you can determine if the trade-off is worth it. 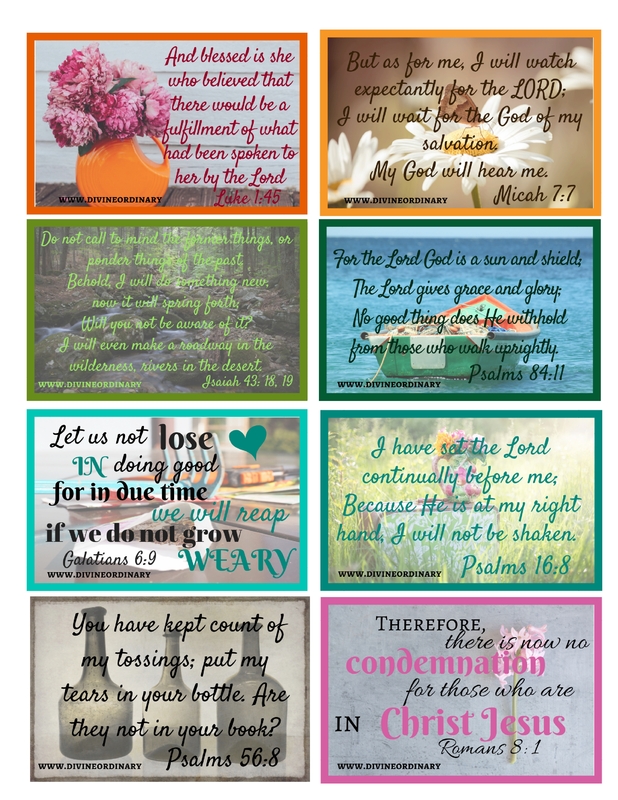 While I type this post, I can see a little printable I made with a quote from one my favorite Christian bloggers, Arabah Joy (you can find her at http://www.arabahjoy.com). Even though I believe that wholeheartedly, in recent weeks I have found myself sucked into a lot of busy. Some of it, like my son’s movie premiere (you can find his movie Spider-man: Origins here), was something that was a good yes, but others – like getting sucked into organizing a homecoming party – were drains on my time and energy that I should have said no to. I am still learning that saying no to someone’s request or need isn’t necessarily selfish. Sometimes, saying no is the most selfless thing I can do because it frees me up to fulfill the call God has on my life. How about you? I’d love to hear about what you’ve learned about when to say yes. It was on this day, last year, that my dad took his last breath on earth and his first one in heaven. He hadn’t been doing well, but none of us expected him to deteriorate so fast. Certainly, none of us, including his oncologist, expected him to be gone less than a week after his last trip to Columbus. He went into the hospital in the wee hours of Saturday morning, and by Sunday he had slipped into a deep sleep all on his own. We sat around him that day, periodically going over to check on him, to tell him we loved him, to keep vigil, to chuckle just a little at the half snore. The next time my dad opened his eyes was to see the face of Jesus. I’m not sure what it is about the year anniversary of a loved one’s death. They are no more gone that day than any other, but suddenly, you find yourself back there where you were a year ago, walking a familiar path of loss all over again. There is a sort of shock and numbness that cushions you when a loved one dies, but certain things remain clear memories. I can close my eyes and see and feel the dim hush of that hospital room. I can still feel the wispiness of my dad’s hair and the clamminess of his skin. I remember my mom’s call that time was short, and the horrible disbelief that even though I had hit every single green light, I had still missed his moment of passing by only a few minutes. When I entered that room, I knew immediately and unequivocally that my dad was gone, that his body was just an empty shell. The spirit that had animated it was gone. I remember the befuddled busyness of going over funeral details. I can still feel the dread in my belly of having to smile and nod and hug all the people, but at the same time taking comfort that so many people loved him and cared. I remember how desperately I wanted to get across who my dad was and what his life meant in the eulogy I was giving, and how inadequate I felt as words seemed just out of my grasp. I remember Brody leaning on the podium singing. I remember Brock – my most stoic of children – breaking down when sharing about his grandpa. I remember my mom, the first time we came into the funeral home, how she had to brace herself before going to the casket. I remember the day after the funeral. I spent the night with my mom. The next morning we went to Panera where we picked at a bagel and drank coffee, not sure what to do. How do you do life without the person who has always been there? Just recently, I wrote in my prayer journal and asked God how you can both miss someone deeply and yet not wish them back here. The truth is, it was my dad’s time to go. If he had stayed longer, he would have suffered and none of us wanted that. Life will move on and all the important milestones will happen and he won’t be here. And some days, that’s just hard. And yet, our lives have also moved on. Our days and weeks have slowly rearranged themselves into a new normal, one that doesn’t include my dad in its daily fabric. There isn’t a day that goes by that I don’t miss him. But I know while we have been grieving and fumbling around trying to figure out life without him, he’s had the best year ever. Appropriately, someone sang No More Night at church this week. It’s why I can be sad and glad all at the same time.